The Bindle Rack is a seatpost mounted rack designed to easily carry your gear or a stuff sack on multi-day cycling tours or just across tow. 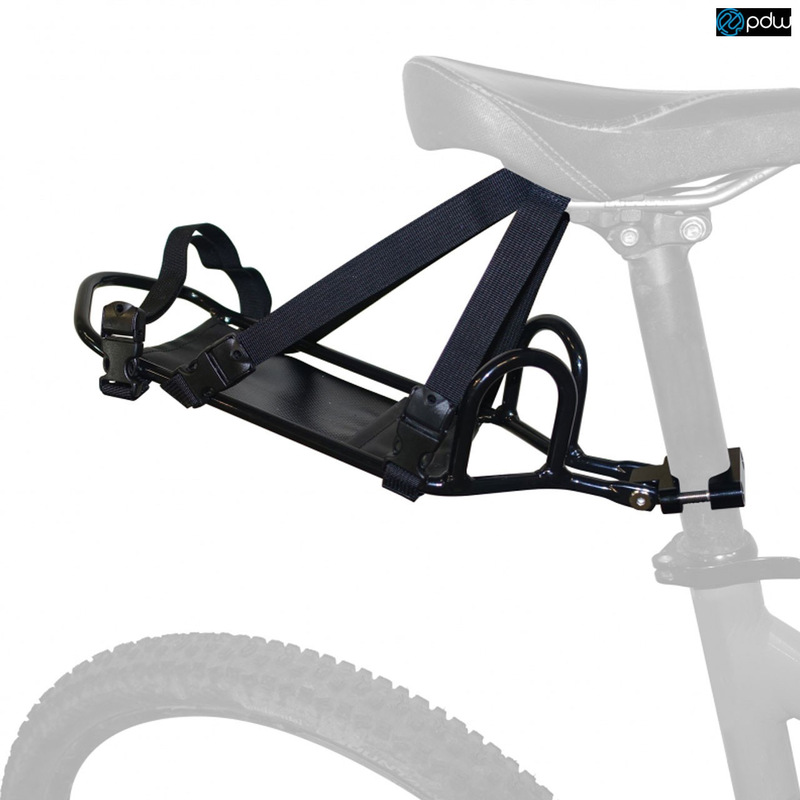 The rack is constructed with lightweight alloy and mounts to your bike's seatpost in seconds using a 5mm Allen key. Heavy-duty compression straps loop through your saddle rails to carry the weight and secure your load. The Bindle Rack helps prevent side-to-side sway while riding and rear wheel rub for riders with short seat posts.